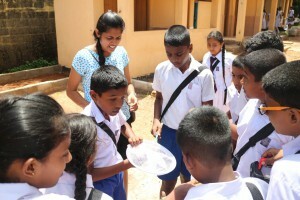 Colombo City and Galle City are both rapidly urbanizing centers in Sri Lanka, and they have been tackling issues in air pollution and the environmental damages it has been causing. To protect the regions’ biodiversity, awareness raising environmental protection is becoming a major issue. On the other hand, school curriculums place a heavy emphasis on learning from text books and lack hands-on learning experiences to learn about the natural environment. 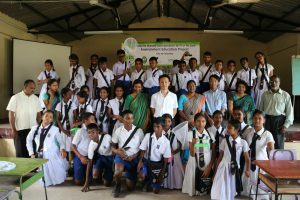 This project aims to introduce environmental education conducted by elementary schools in Yokohama City, and provide school children in Sri Lanka with new types of learning experiences. *This project was funded by the CITYNET fund, which was established during the “7th International Conference on Solid Waste Management” held in Yokohama in October 1996, with the purpose to solve environmental problems in Asian cities.